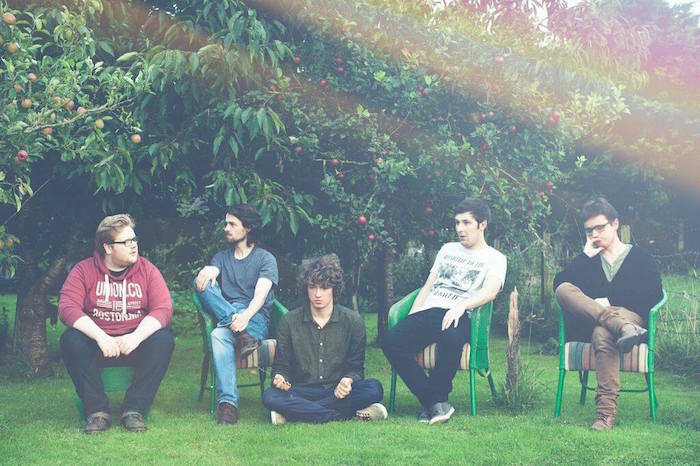 Hailing from Armagh, this week’s Irish Band of the Week are Silences. Comprised of Conchúr White, Breandán White, Christopher Harbinson, Jonathan Downing and Michael Keyes, the band formed back in 2013. Since then they’ve been receiving waves of critical acclaim for their singles, particularly ‘Sister Snow’ and ‘Santa Cruz’. In fact, the tracks received significant airplay on BBC Radio 1 (the epitome of up-and-coming music) as well as a prestigious slot on RTE’s Other Voices. The cherry on top of this was also performing Ireland’s largest festival, Electric Picnic, two years in a row. Their three EPs have received critical acclaim and support from the likes of Phil Taggart, Huw Stephens (BBC), Phillip King (RTE), Stuart Baille (BBC) as well as numerous other music blogs and websites. Naturally, always hungry for more, the band are now set to release their fourth EP. So where does such a fledgling band go from here when they’ve already been hailed as the next big thing within two years of forming? Well, with their latest EP in the midst of development it only makes sense that the band hone their talents with successive touring in the last couple of months to accelerate the writing process. Impressively, they’ve been touring alongside none other than The Coronas. What makes the band an ideal accompaniment on tour for the likes of the Coronas is the style of their music, there’s no pretentiousness to their sound. It’s not that the band don’t try, it’s that they’ve found the perfect sweet spot for their sound. There’s a refreshing coolness to their manner, the way they arrange their sound creates a charming confidence and coupled with their fantastic songwriting abilities, one can only assume that 2016 is the year that they become nationally acknowledged for their abilities and talents.